The mission of the Holocaust Museum goes beyond the teaching of the Holocaust as history to its relevance for us today. Knowing about this watershed event from the past is essential to building a foundation for action in the present. Our Educational programming begins with the Holocaust and ends with connections to what has happened in the lifetime of the students and what they can do to make a difference. Respect for others begins with their family and community, then extends out to those in need around the world. Anne Frank wrote in her diary in April of 1944, “If God lets me live… I’ll make my voice heard… I will work in the world and for mankind.” Even though Anne died during the Holocaust, her diary has allowed millions of people to experience some of her life and she has made her voice heard all over the world. Sharing his personal stories, Holocaust Survivor Rob Nossen teaches students valuable lessons from the past. In 1994, a Holocaust Bill was passed in the State of Florida, which mandated the teaching of Holocaust instruction in grades K – 12. The Commissioner of Education created a Task Force on Holocaust Education and appointed members to serve on the Commission. The Task Force serves as an advisory group to the Commissioner of Education and coordinates Holocaust education activities on his behalf. The Holocaust Museum & Education Center of Southwest Florida has been a member of the Task Force since 2006. To read more about the Task Force and access the State of Florida curriculum, please visit www.flholocausteducationtaskforce.org. A careful study of the Holocaust allows investigation into historical fact and evidence, human behavior, cause and consequence, as well as many other aspects of education. Understanding the events of the Holocaust can give us an historical perspective that helps us deal with issues of today. In deciding what to teach, a teacher should first decide what he/she hopes to accomplish in a study of the Holocaust and genocide. Therefore, the first step is to create a rationale statement for the unit of study. Once one has crafted a rationale statement, the scope of information and types of activities becomes more finite. The United States Holocaust Memorial Museum in Washington D.C. has designed guidelines for teaching about the Holocaust. There are 14 recommended methodologies to take into consideration while designing a Holocaust curriculum. Please visit www.ushmm.org for more information. 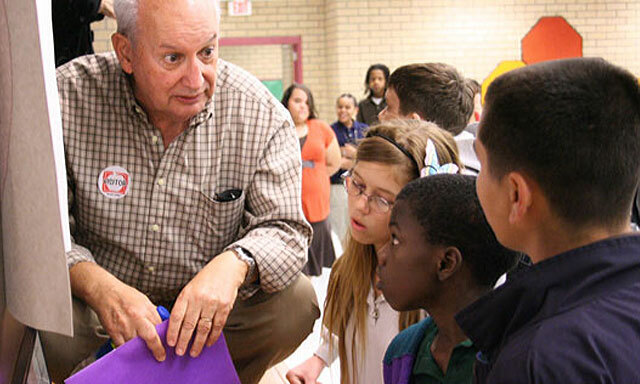 The Holocaust Museum & Education Center of Southwest Florida reaches more than 15,000 students yearly with on-site and outreach education programs. Using the Museum’s collection, personal stories and hands-on activities, the education programs explore the history of the Holocaust and its relevance for us today. Check out our 2017-2018 Education Catalog for everything you need to know about Education programming at your school or at the Museum. The Museum’s goal is to ‘touch’ every 5th, 8th, and 10th grade student in Collier County. Courtesy of a grant from Suncoast Credit Union, we are able to provide free transportation for 8th grade field trips to the Museum, waive admission and reimburse for any substitute teachers needed with our 5-8-10 Program. The 5th grade component takes a grade-appropriate approach using the story of Holocaust heroine Irena Sendler. The book, Irena Sendler and the Children of the Warsaw Ghetto written by Susan R. Goldman and illustrated by Bill Farnsworth teaches a character-based, historical lesson. 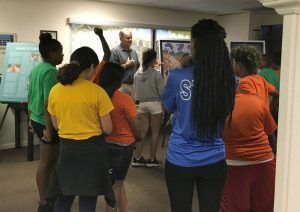 Using original paintings donated to the Museum by Bill Farnsworth, students learn the story of a Polish Catholic social worker who, along with other members of an underground group, rescued approximately 2,500 children from the ghetto. Art interpretation, group work, and character education come alive in the classroom. Each school receives a classroom/library set of 25 books and each participating teacher receives a teacher’s classroom copy. 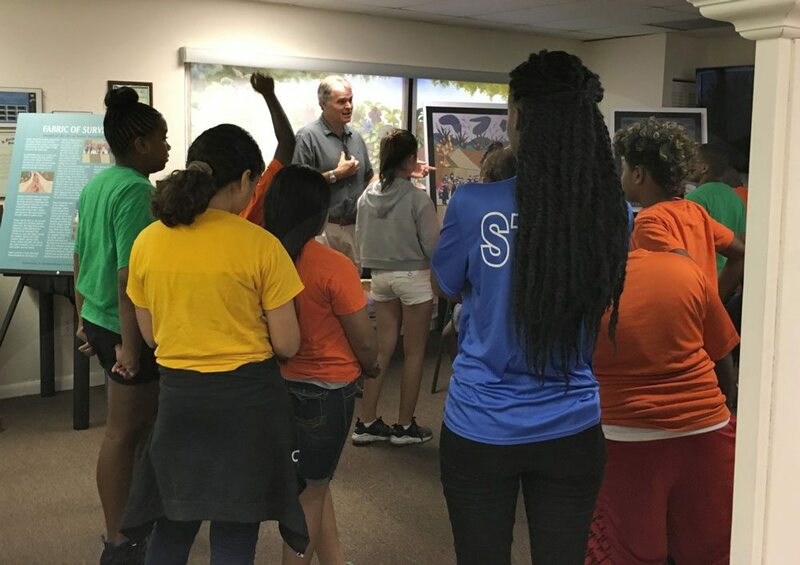 Education Specialist, Sam Parish teaches students from Collier County Boy’s and Girl’s Club in the Museum. 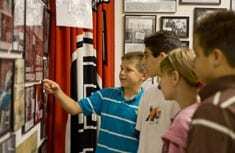 The 8th grade component involves a trip to the Museum often a highlight of a Collier County student’s education career. Every 8th grade student is invited, through their school, to come to the Museum for a guided tour and an activity. At the conclusion of the school’s visit, a Holocaust Survivor/Liberator talk is offered to the school to be held in an auditorium or similar setting. 8th grade students typically study Anne Frank and similar stories/topics. The Museum experience provides information, helps apply learning through activities, and brings it all together with the most important aspect; the Survivor/Liberator talk. Because of Suncoast Credit Union’s support the Museum waives the student’s modest entry fee of $3.00 and reimburses participating schools for bussing and substitute teacher costs! The 10th grade component offers the teacher a choice of a fascinating lecture with audio/visuals, group analysis or the chance for students to perform historical research using primary, secondary, internet, map and worksheet sources. Option one, targeted to the more mature high school student, is a study of the Cross of Honor of the German Mother. The activity begins with observation of an artifact. Facts are added to the conversation leading to the startling conclusion a medal awarded to German women who had a prescribed number of “approved” children. Option two involves tracking the fateful journey of one young man through historical documents. Kurt Krizshaber was born in Austria but the ascension of Adolf Hitler and the Nazi regime forced his family to be separated and, ultimately, nearly destroyed. Students will trace Kurt’s journey to England, and what appeared to be safety from the war. After expulsion from England, students trace the harrowing sea trek to Australia and several internment camps. Using research and a bit of detective work, students learn the conclusion of Kurt’s story.